Is All Your Stuck Keeping You Stuck in the Past? Let Go. 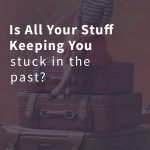 Is All Your Stuff Keeping You Stuck in the Past? ​We’ve been talking about the importance of letting go of your past. It’s impossible to step into a powerful future, if you’re stuck in the past. It’s easy enough to say that, but what keeps us stuck? Believe it or not, it may be your stuff. Here’s how this can show up. Gina had spent years sewing, but she didn’t want to keep this family heirloom. Looking at the cabinet filled her with sadness and anger. Growing up, her mom had constantly criticized Gina’s sewing. The machine reinforced the old story that she wasn’t good enough. She hadn’t realized it until that moment but she’d associated the machine with her mom’s unkind comments. Because Gina was ready to let go of that old story, she decided to get rid of this heirloom. As she released it, she freed herself from the lie that she’d never be good enough and opened herself up to a new story instead. Have you ever been Gina? Holding onto old stuff because you associated it with a story? Maybe it’s the cheap china dinnerware from your grandmother and the accompanying belief that you have to keep it because of the stories she told about struggling financially. Without you being aware of it, the china could be sending you signals that YOU will struggle financially, too. Yup, at that point, you’re stuck in the past. ​Or maybe it’s the boxes of old sheet music that your parents bought that remind you of how they invested in lessons and you did ‘nothing’ with them. You know, those boxes that fill you with regret and make you feel guilty. Maybe your boxes don’t have sheet music, but you might have boxes of other equally heavy stuff that are keeping you stuck in the past. These items are careless reminders of a person you outgrew. ​You don’t have to keep anything just because someone gave it to you. And it doesn’t matter who that person was. If holding onto past mistakes makes you fat, holding onto stuff you no longer want must give you wrinkles. You can’t afford to hold onto clutter, especially clutter that attacks your self esteem. You don’t want to stay stuck in the past, do you? Get rid of any belongings that weigh you down and remind you of negative experiences. It can be so freeing to get rid of things that tell old stories. You can donate or sell them, or simply throw away any items that don’t serve you now. Heirlooms aren’t the only items that can give you constant visual or physical reminders of old stories. Broken stuff can also impact you. For example, after filing the divorce papers to end her abusive marriage, one woman went home and immediately began repairing holes in her wall. These holes had been created when her soon-to-be ex had punched the wall repeatedly in a rage. For her, fixing the holes signified a new beginning. She and her children would no longer live surrounded by reminders of negative emotions. ​Or think about resigning from a soul-sucking job and cleaning out your desk and home office of files that belong to the old job and make you angry. 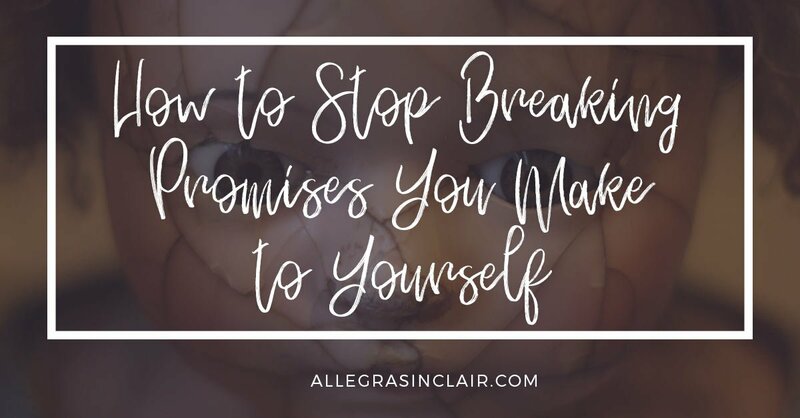 Is there something in or around your home that’s broken and telling you that you don’t deserve to have fixed? Maybe it’s a faucet that continually drips or a car that’s so dirty you’re not sure what the original color is. Fixing broken things can help you let go of an old story so you can write a new one. You deserve to live in an environment you love, surrounded by things that won’t keep you stuck in the past. If you want to surround yourself with things that make you happy in a space you love, read The More of Less: Finding the Life you Want Under Everything you Own by Joshua Becker. I loved this book! It will help you realize how all the stuff you own is keeping you stuck in the past. And more than that, it helps you figure out how to get out from under. As you identify the things that you don’t want and get rid of broken things, remember that you’re not just letting go of old stories. You’re intentionally making space for what matters now and that’s a powerful action that will change your life. 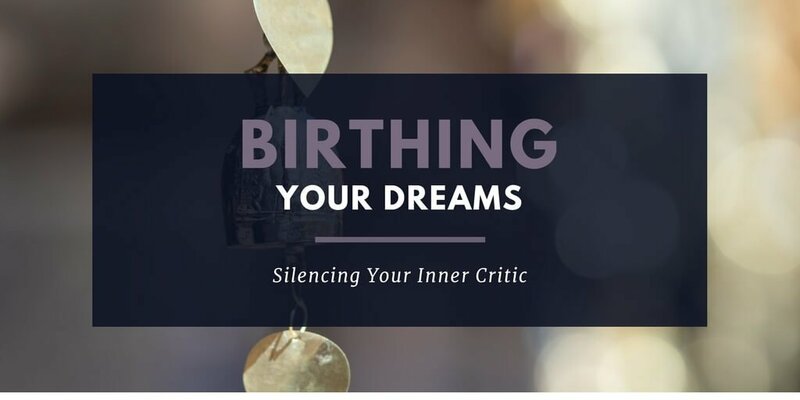 Tired of being stuck in the past? 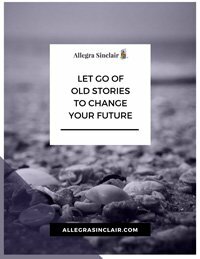 Leave the old story behind and write a new one when you download your free workbook!